It’s easy to be overwhelmed when you start looking for a home heating system. There are a wide variety of options, each with their own pros and cons to consider. Lucky for you, our heating and cooling installation experts at Mora’s Heating and Cooling put together a list of a couple of heating systems and their characteristics. With our help, you’ll have the perfect heating system in no time. Radiant heating is made up of an assortment of small tubes set into the walls, floor, and/or ceiling of your home. A boiler heats water, then runs it through these tubes to radiate heat upwards through the floor. There are a number of advantages to using radiant heating. The first of these is efficiency. Radiant heating loses almost none of its thermal energy in transit, due to the delivery system it uses. Forced air systems, by comparison, lose about 30% of their heat to duct issues between the furnace and the vent. Radiant systems also heat rooms more evenly, creating a more comfortable environment without the cold spots that forced air systems have. When radiant heating is located in the floor, it is often called radiant floor heating or simply floor heating. People with allergies often prefer radiant heat because it doesn’t distribute allergens like forced air systems can. Hydronic (liquid-based) systems use little electricity, a benefit for homes off the power grid or in areas with high electricity prices. Hydronic systems can use a wide variety of energy sources to heat the liquid, including standard gas- or oil-fired boilers, wood-fired boilers, solar water heaters, or a combination of these sources. The disadvantage of a home heating system with radiant heating is that it is more expensive than most other systems to install. It is also more involved. Unless you are building a house, you will need to tear up your existing floor to install the tubing over the subfloor. Not many people are willing to go to such lengths for a heating system upgrade. For climates with moderate heating and cooling needs, heat pumps offer an energy-efficient alternative to furnaces and air conditioners. Similar to a refrigerator, heat pumps use electricity to move heat from a cool space to a warm space, making the cool space cooler and the warm space warmer. During the heating season, heat pumps move heat from the cool outdoors into your warm house and during the cooling season, heat pumps move heat from your cool house into the warm outdoors. 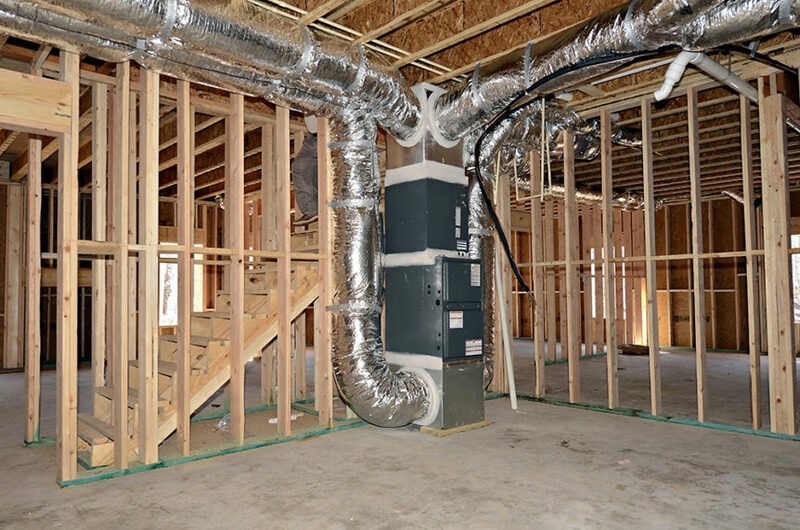 Because they move heat rather than generate heat, heat pumps can provide equivalent space conditioning at as little as one quarter of the cost of operating conventional heating or cooling appliances. There are many more options available, and we’ve barely scratched the surface here. We’re experts in heating installation, and we cover the entire Idaho Falls area. If you would like to know more about what home heating system could best serve your home, call Mora’s Heating and Cooling right away.